What is the Summit CE Tracker? We understand that keeping track of all your various CE credits and certificates across multiple providers (and then for multiple professional licenses) is a tough task! We've simplified this tedious work for you with our CE Tracker. 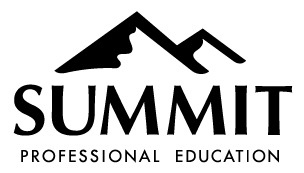 Simply log into your Summit Account or Subscription, and click the "Manage Licenses" and "Manage Courses" options under the CE Tracker section. Enter your license(s) information, then CE courses you've completed -- including uploading your PDF certificates. We'll keep everything collected and you can download your stored certificates at any point. Our team is also working hard to bring more features into this helpful tool. Enjoy!